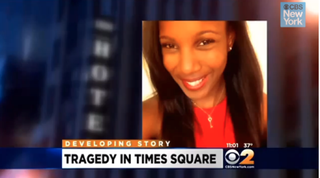 New York City police are investigating the death of a 21-year-old Syracuse University student who was found dead Saturday in her hotel room in New York City’s Times Square, the New York Daily News reports. Sabrina Cammack, a senior on the school’s track team, was discovered dead about 9:20 a.m. in her hotel room at the Edison Hotel, where she had checked in with friends for spring break, the News says. The cause of death is still under investigation, and there are no initial signs of foul play, the news outlet reports. An autopsy was conducted Sunday, but results are awaiting further studies, medical examiner spokeswoman Julie Bolcer told the News. Over the weekend, family friends, students and administrators mourned the loss of the native of New York City’s Queens borough who excelled at academics and athletics. She was a student in the David B. Falk College of Sport and Human Dynamics and majoring in public health, Dean of Student Affairs Rebecca Reed Kantrowitz said in an email to students, reports the Daily Orange, the school’s newspaper. She was also a member of the women’s track-and-field team, specializing in sprint distances, the dean said. Read more at the New York Daily News and the Daily Orange.